Freddy is the known breeder of several strains with more than twenty years of work. As a tribute to his outstanding legacy his latest strain has been named in his honor, 'Freddy's Best ". Freddy's Best Marijuana has a clear and durable high. Freddy is the known breeder of mythical varieties like Marijuana Blueberry, Mazar, Passion #1, Orange Bud, Strawberry Cough and many more. 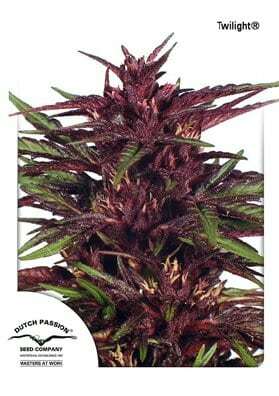 Fredd's Best is a tribute, his latest creation before retiring after more than twenty-years of legacy in which he always has demanded very high standards in when to psychoactivity, appearance, flavor and yield of his strains. But in his latest project he proposes new challenges. Freddy's Best is the result of crossing a sativa which has no name and two strains of Dutch Passion: Chocolope and Dutch Haze. This is a mainly sativa strain, easy to grow and generous in size, shape density and resin of the buds. The aroma and flavors have notes of cocoa and earthy aromas with a sweet and a spicy taste. Freddy's Best has a clear and a long-lasting effect being surpisingly intense. It is a real pleasure for Sybarites attracting also commercial growers due to its large crops. Freddy's Best can be grown indoors or in a greenhouse and is a fitting tribute to a remarkable man.